It was a beautiful autumnal day for my photo shoot this week, and I thoroughly enjoyed tracking down the subjects that feature in this article. I'm starting off with this handsome chap! 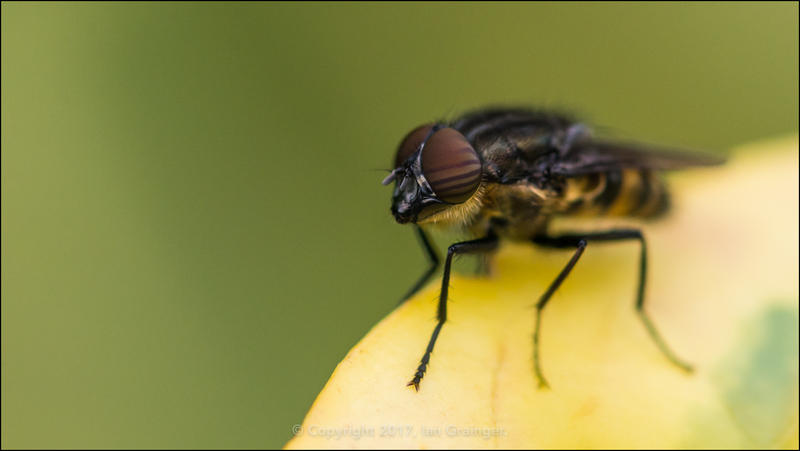 I have it on good authority that it's a Fly, whose scientific name is Stomorhina lunata. Apparently it's often confused for a Hoverfly (Syrphidae) because of it's stripy abdomen. One interesting snippet of information about it is that it's a migrant from Africa, where it predates on the larvae of species of Locust. This is why it has the common name of the Locust Blowfly. It is thought that in this country, it may be predating on Grasshopper larvae, although there is no scientific evidence of that so far. This little guy is also prone to being misidentified. 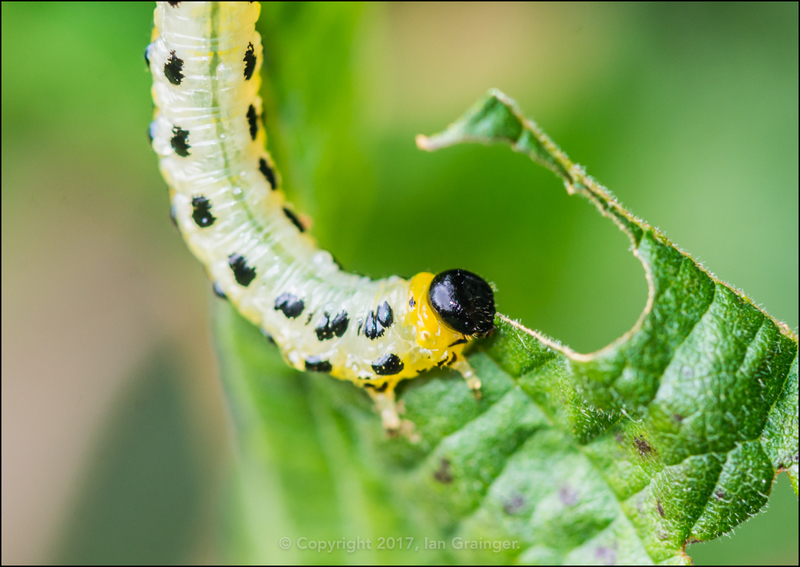 Although it looks like a caterpillar, it's actually the larva of a Hazel Sawfly (Craesus septentrionalis). It's seen here happily munching through a leaf of my dad's Twisted Hazel Tree (Corylus avellana Contorta). 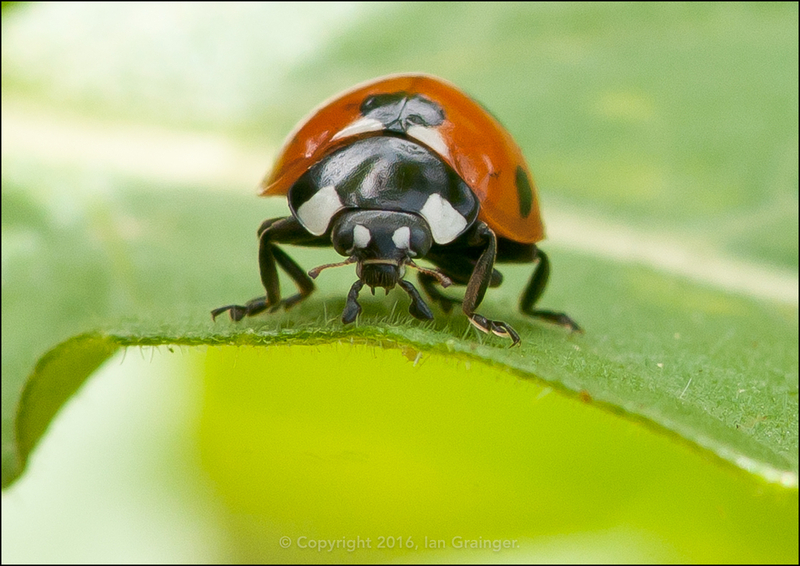 As insects are becoming a less prominent fixture in the garden now, I thought I'd plug my tutorial for photographing them for probably the last time this year. Insect Safari explains the equipment and techniques I use to locate and photograph insects. Why not click on the link and check it out? 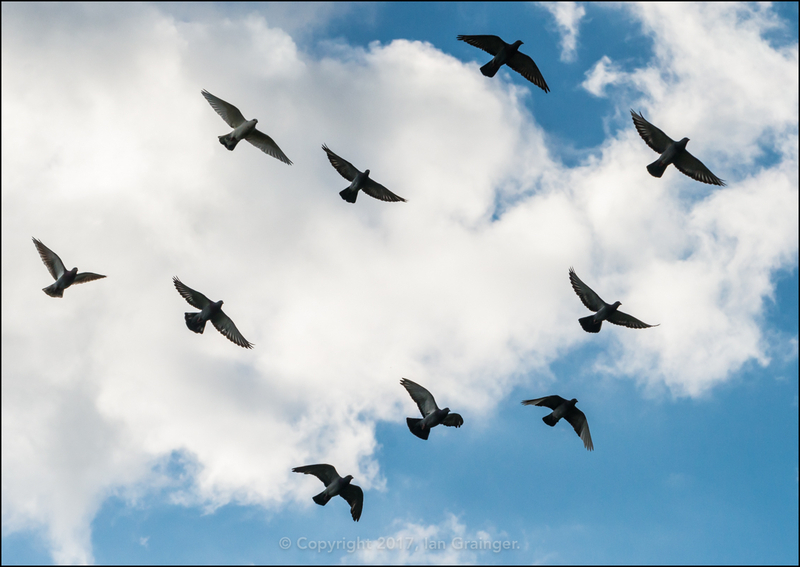 Throughout my photo shoot, I was accompanied by a growing number of Feral Pigeons (Columba livia). There must have been in excess of thirty of them by the time I'd finished snapping away. It was that time of year when berries were beginning to play a prominent role in the garden. 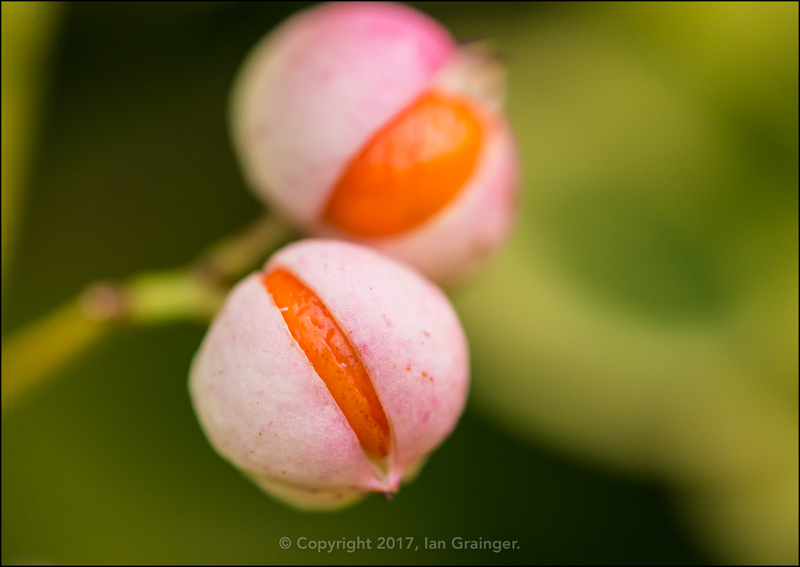 I found these very pretty, but very poisonous berries of a Spindle Bush (Euonymus europaeus) growing through a privet hedge. 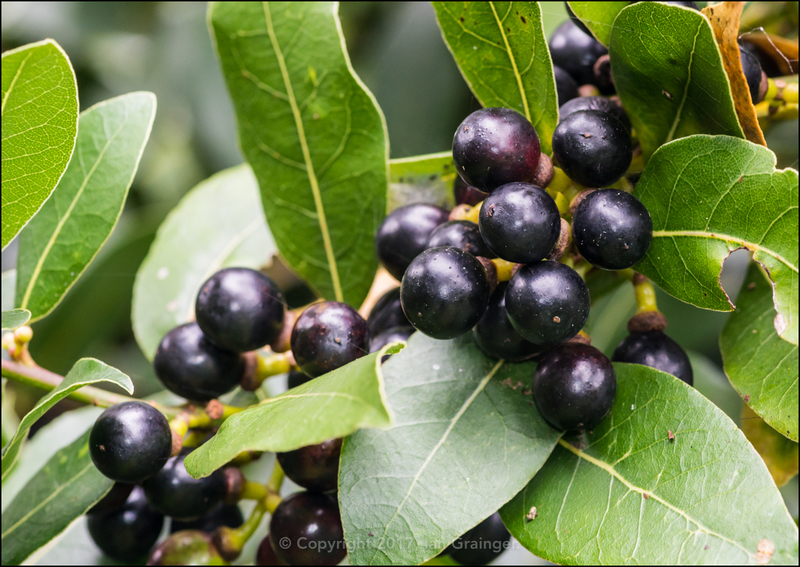 The Bay Tree (Laurus nobilis) berries had finally turned from green to black, and were just waiting for the hungry birds to come along and take them away. 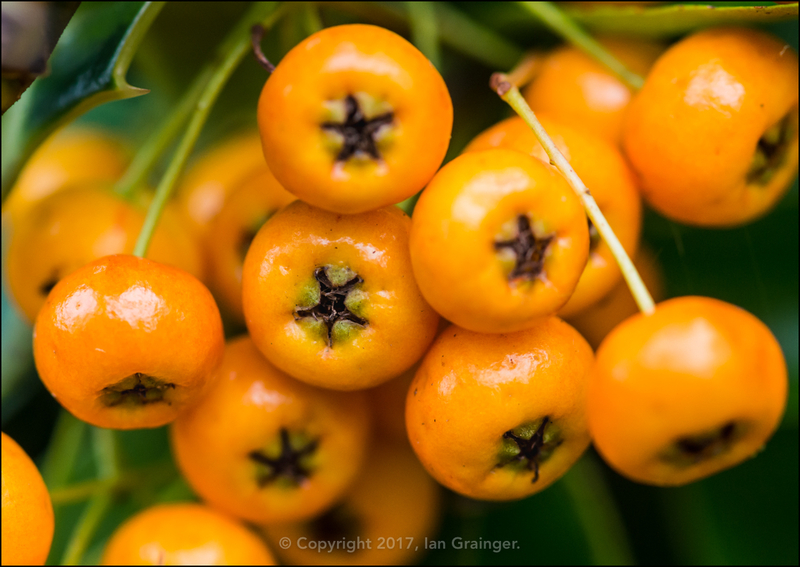 Equally, the Firethorn (Pyracantha) berries had made the journey from yellow to orange, and would be irresistible to the birds as soon as the frosts decended. 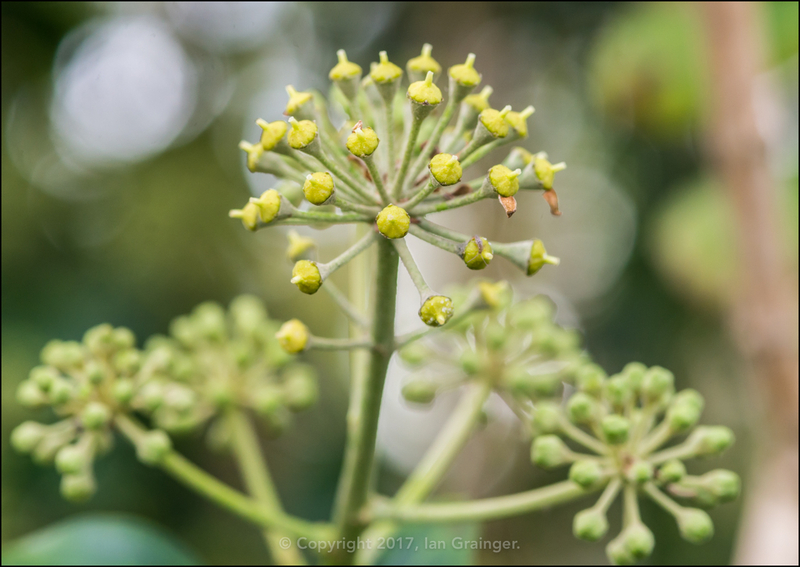 The Common Ivy (Hedera helix) bushes were making good progress too, with their flowers quickly turning into what would soon become little black berries. 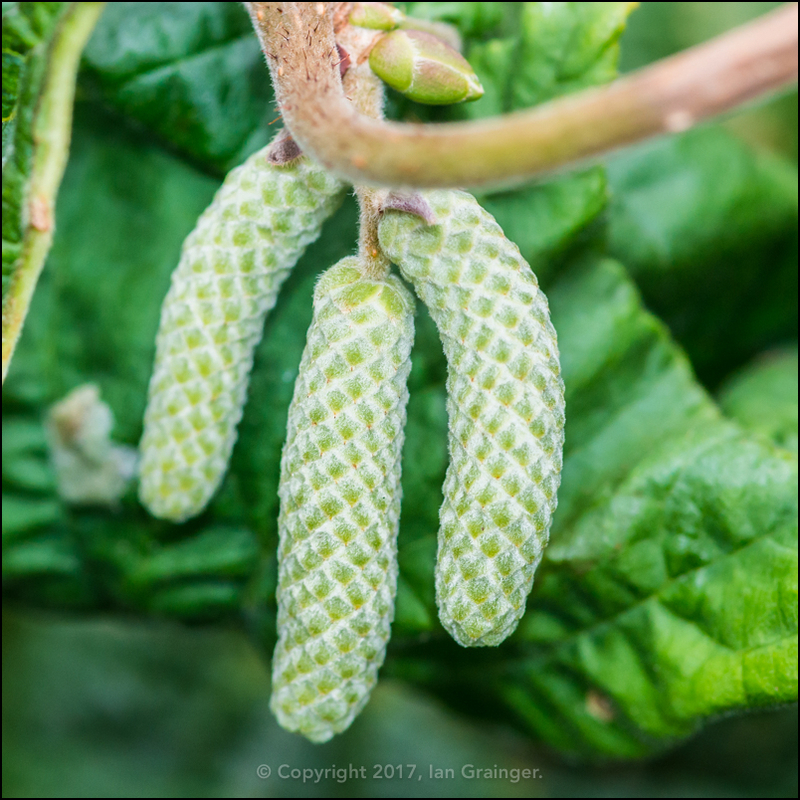 Not to be outdone, the Twisted Hazel Tree had already started to produce catkins, although they wouldn't be fully formed and ready to release seed until well into the Spring next year. 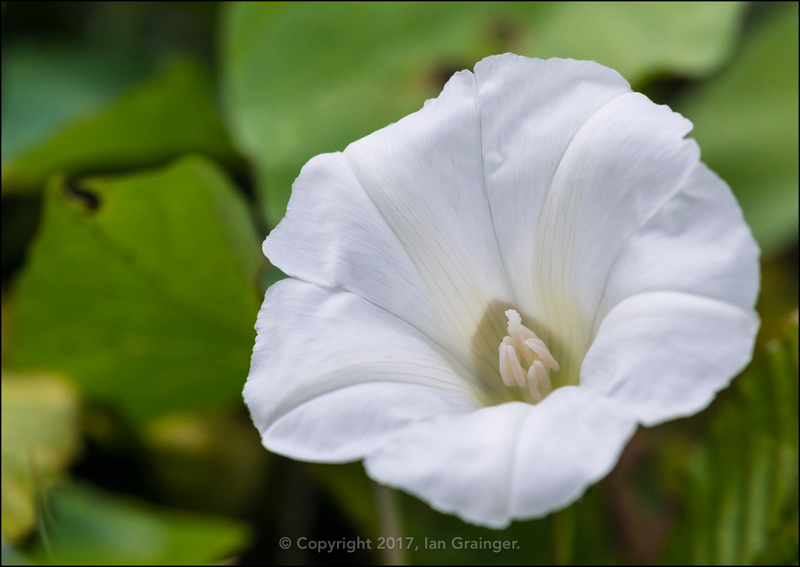 Even though it was late in the year, there were still some new flowers appearing in the garden. 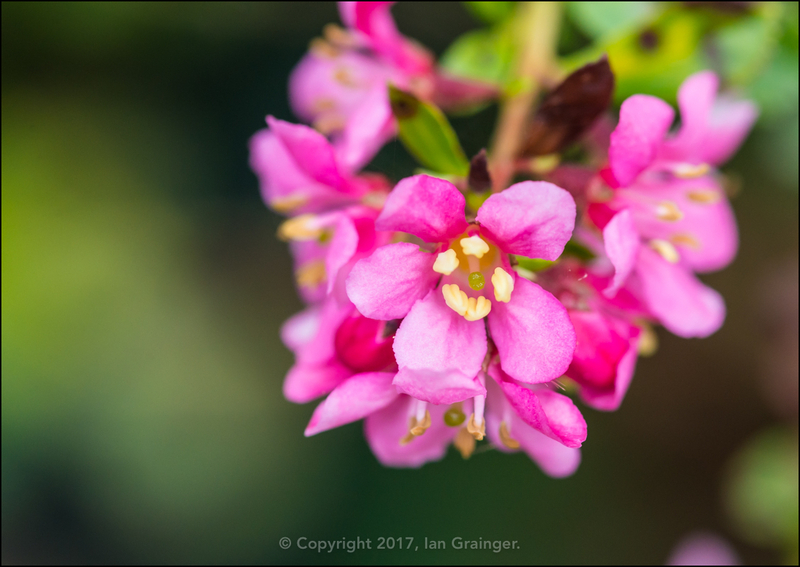 This confused Escallonia bush was having another go at flowering, even though it last featured as my Image of the Week back in June. 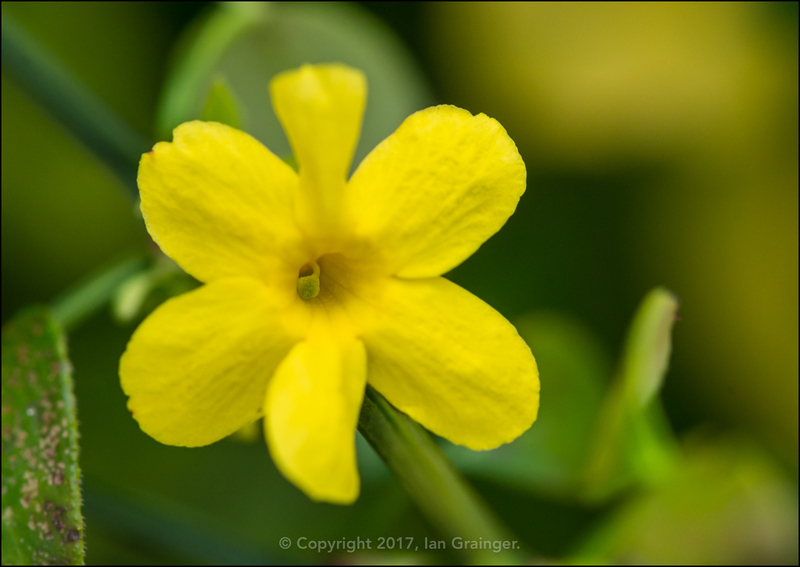 The Winter Jasmine (Jasminum nudiflorum) was much closer to its flowering season, and was just starting to throw out the odd flower or two amongst the privet hedging. 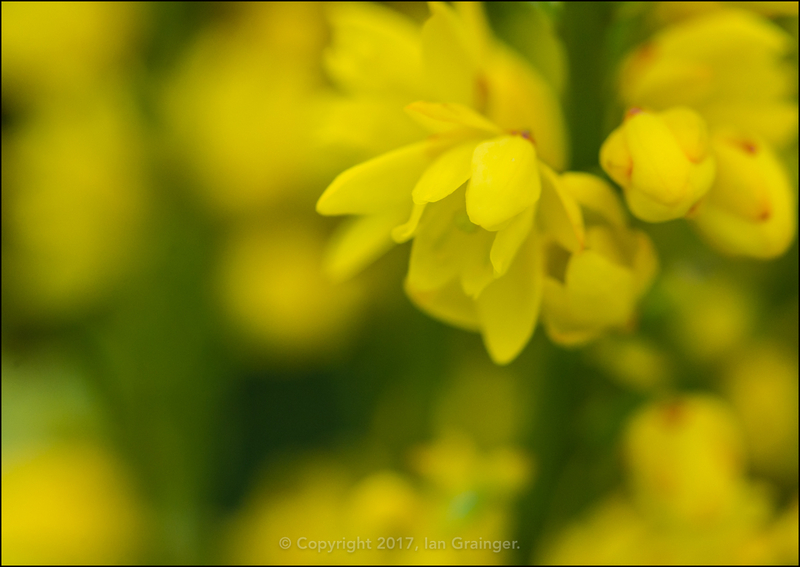 The Mahonia japonica bush was really getting into it's stride now, and the flower buds from last week were beginning to open up. I must admit that I'd thought I'd got rid of all of this stuff last year. It's Redshank (Persicaria maculosa). It's very invasive, and very prolific. It's also very pretty I guess. It will all have to be dug out again before it sets seed again this year though. As well as new flowers, there were still quite a few summer blooms hanging on to their looks. 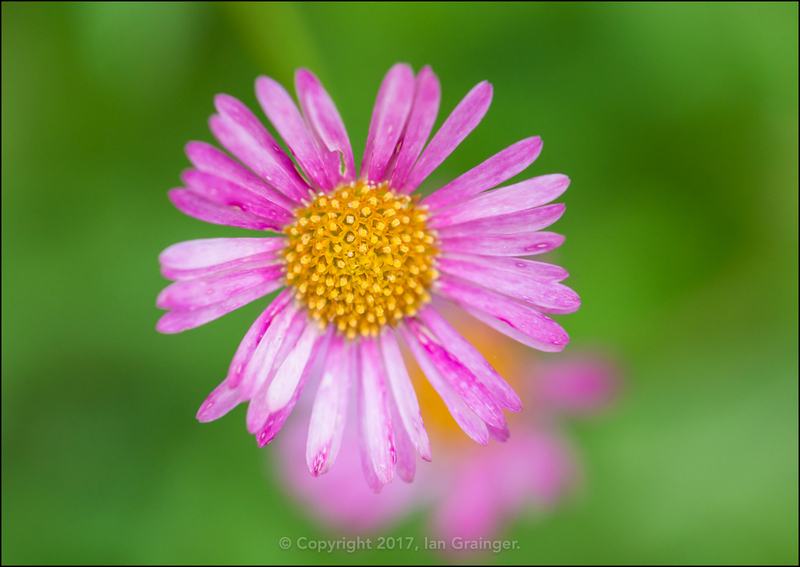 I loved how these pretty Erigeron blooms faded from white to pink as they got older. 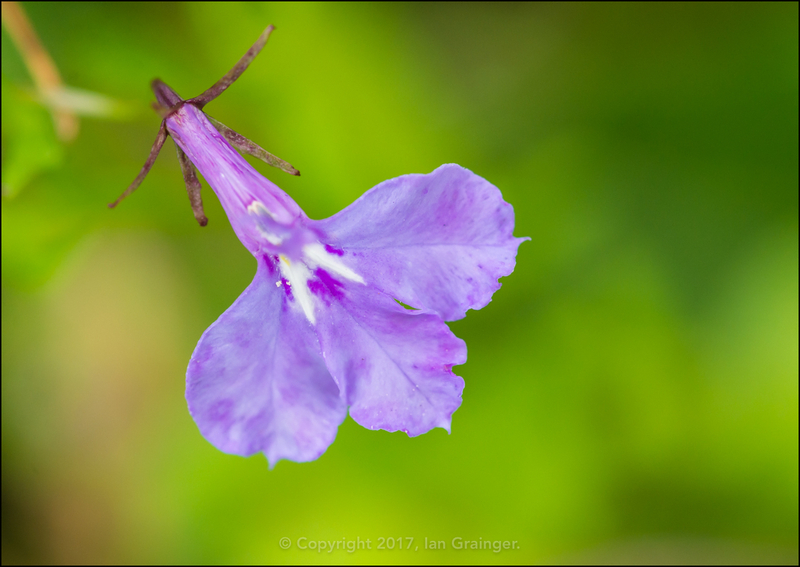 There wasn't much of the Lobelia left, but what remained was still very pretty. 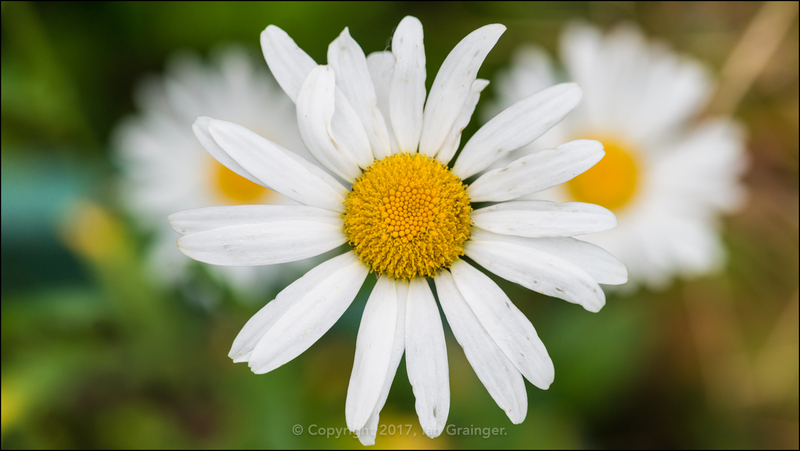 ...and remarkably, the Oxeye Daisies (Leucanthemum vulgare) were still going strong, since first appearing at the beginning of May. 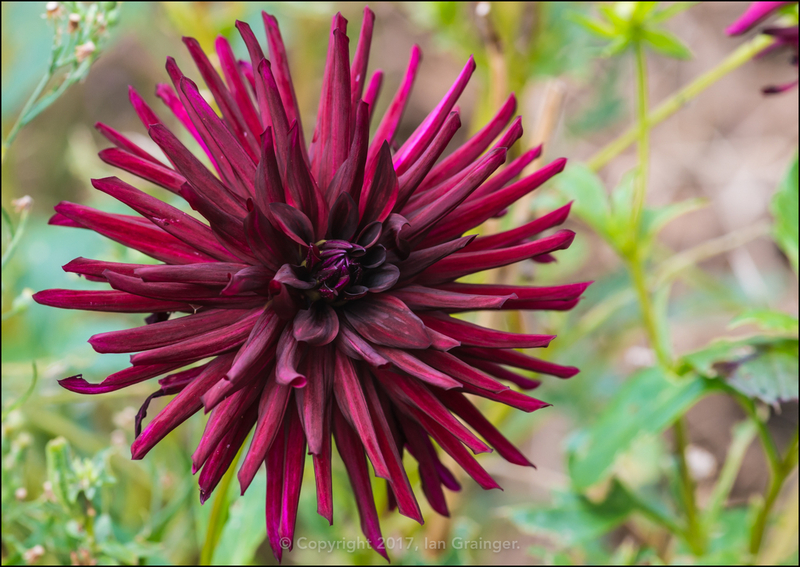 Unfortunately, the lovely maroon coloured Dahlia 'Nuit d'Ete' was onto one of its final flowers. 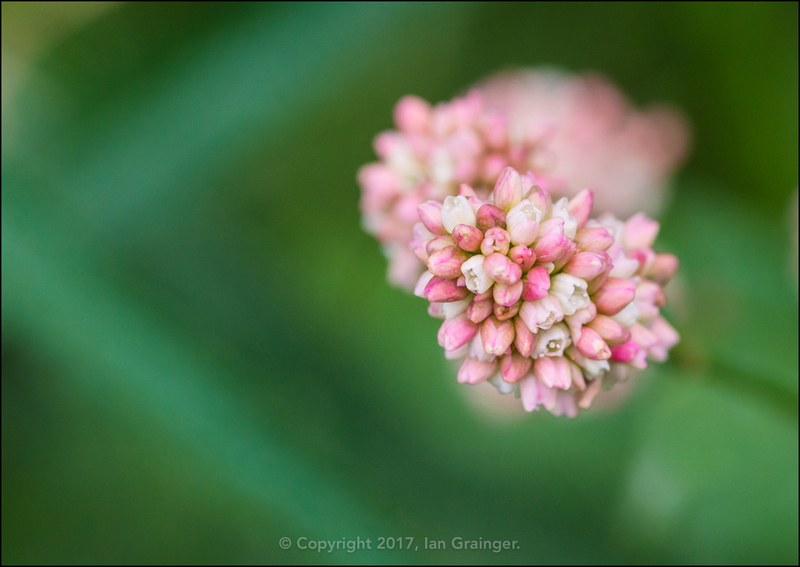 There were no other flower buds left to open. 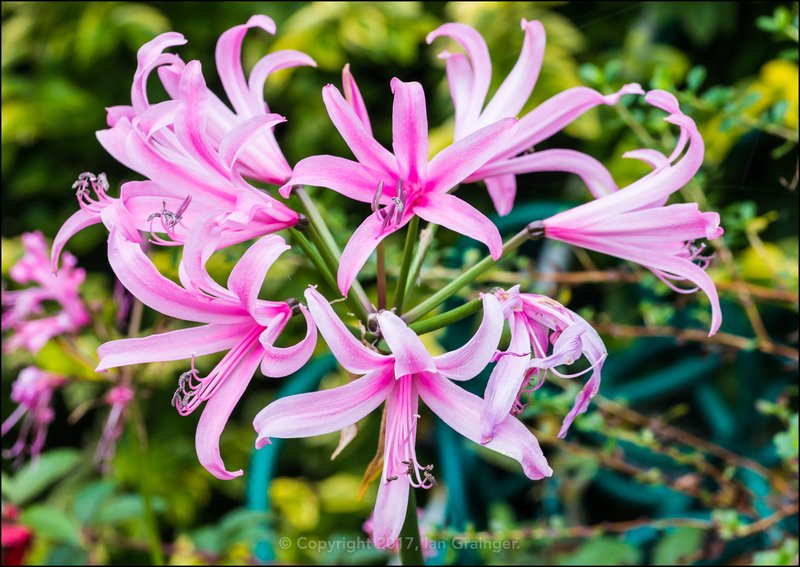 However, the Guernsey Lilies (Nerine bowdenii) were still going strong. This particular one is enormous. It's nearly three feet tall and about eighteen inches across. 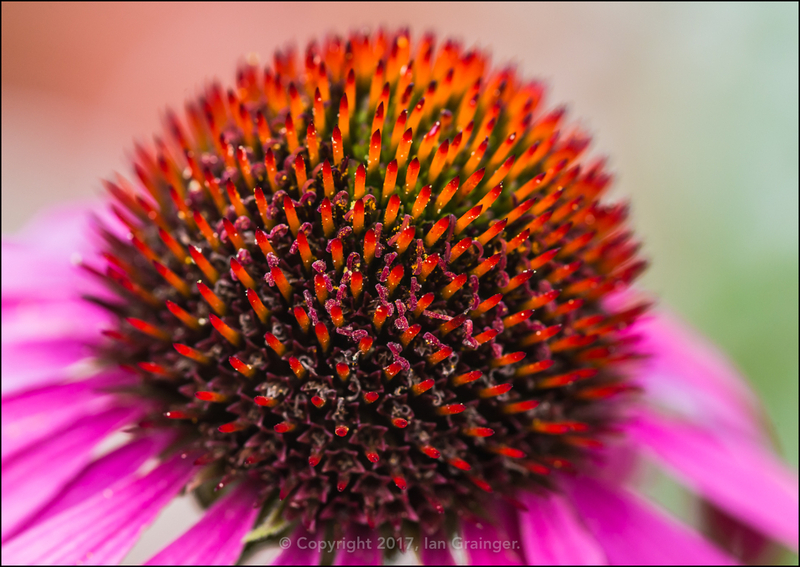 Also holding up well were the Coneflowers (Echinacea). I love them at this stage, when the petals have faded and their spiky centres are pushing upwards making them look like pincushions. 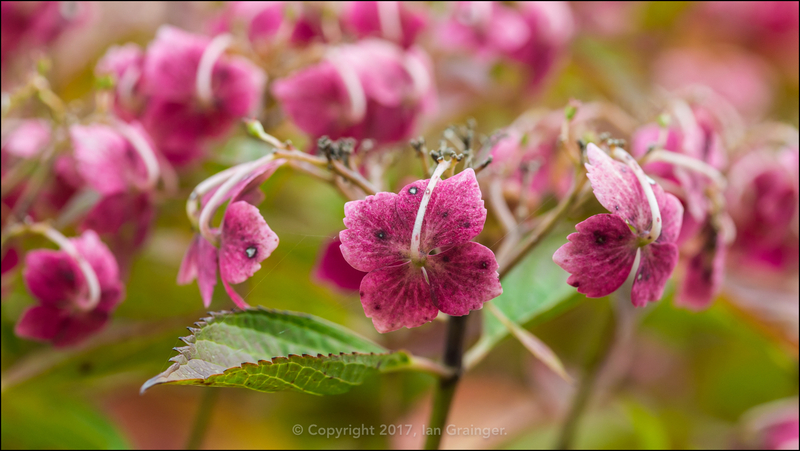 The Lacecap Hydrangeas (Hydrangea macrophylla) are always a good indicator of season, and they were looking particularly autumnal with their fading pink bracts, and their green leaves that were just about starting to turn brown at the edges. Finally, here's a shot of one of my new aquatic friends. 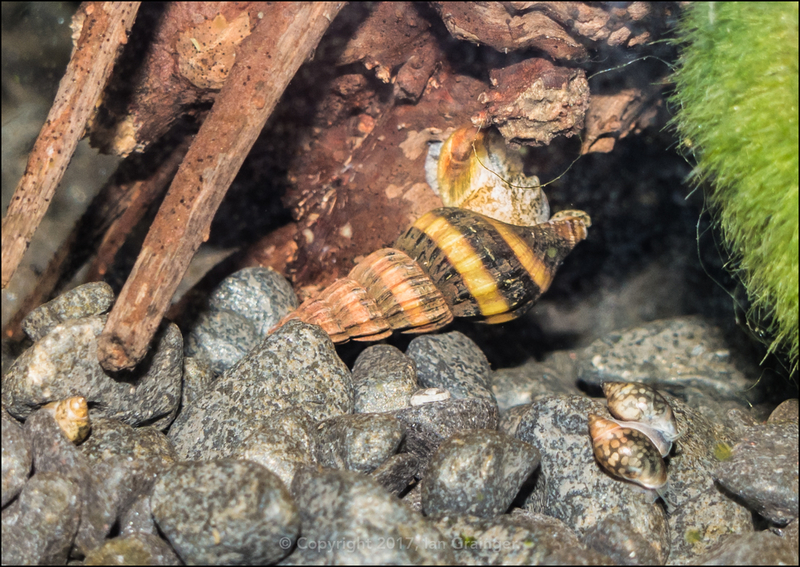 It's an Assassin Snail (Clea helena). One of a group of five I've purchased to police a heavily planted aquarium that has a snail infestation! Hopefully they'll be able to do their deadly work, and reduce the numbers of the problem snails quite quickly.